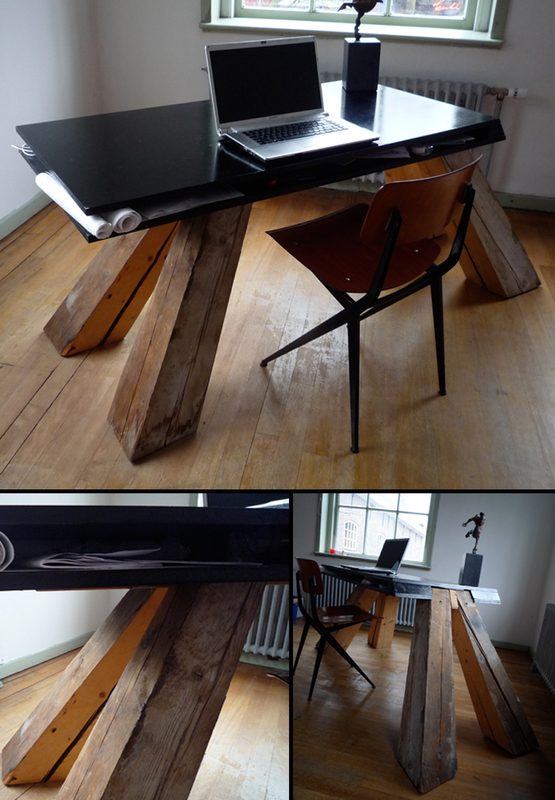 This table is inspired on Dutch canal house attics with modern interior. The construction of the legs is inspired on the beam construction of the attic and the table top represents the modern interior. The wood of the legs is made from recycled construction beams.